The Bahia State Electricity Company, known by its Portuguese acronym Coelba, needed a better way to share geospatial data throughout the organization. Too often, Coelba’s mapping and cadastre unit had to generate small maps of specific areas and share them as PDFs with other departments so they could do various types of analysis. This was time consuming, and the technical information in the maps was static. To best serve its more than 5.6 million customers in the northeastern Brazilian state of Bahia, Coelba (which is part of Brazil’s Neoenergia Group, one of the largest private investors in the Brazilian electricity sector) created an online app to allow its employees to search and access geographic data related to the region’s electrical system. The app, called GSE Web (which stands for Gestão do Sistema Elétrico, or Electrical System Management), enables staff on the sales, planning, design works, and maintenance teams to more easily plan projects and increase operational intelligence. To relieve the mapping and cadastre unit (known by its Portuguese acronym OOMC) of having to provide maps of Coelba’s distribution network for so many distinct projects, the company worked with Imagem, Esri’s official distributor in Brazil, to launch GSE Web last year. The app enables anyone at Coelba to use a desktop or mobile web browser to access general information about the distribution network, as well as cartographic data and basemaps. 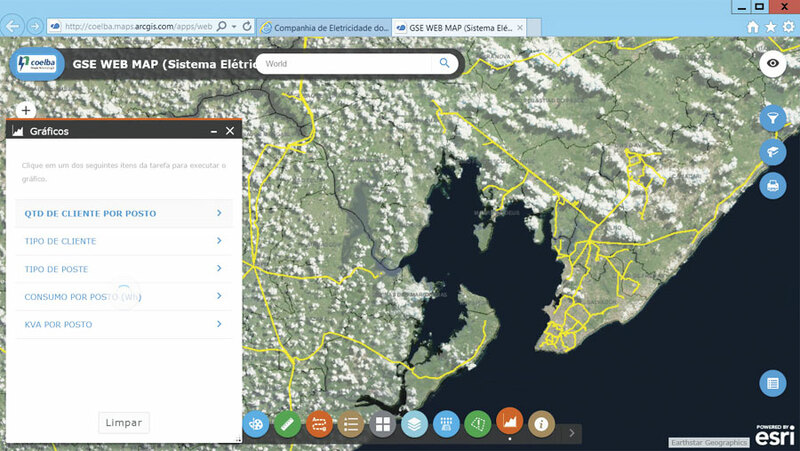 Imagem and Coelba built the GIS solution in the ArcGIS platform. Coelba’s network distribution data is stored, managed, and shared in ArcGIS Server. 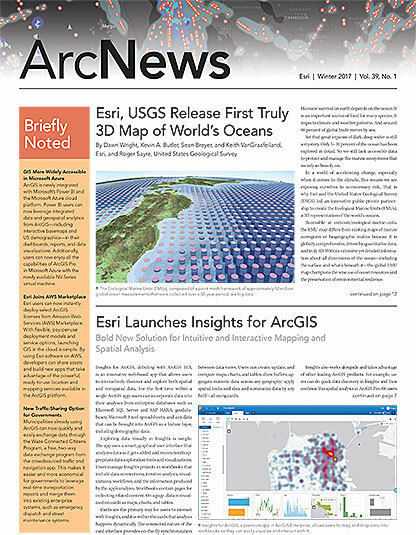 Members of the OOMC staff can then use Web AppBuilder for ArcGIS to easily create apps for each of the company’s different business areas and share them on GSE Web. From there, users throughout Coelba can search the distribution network data and perform certain types of analysis, such as proximity and aggregation, both at their desks and in the field. “Now we have to work together more than ever, as the demands [began] coming in thick and fast from the moment users started using the search tools and learning all of the app’s functionalities,” said Santos. “In a market like energy distribution, where geographic factors have a great impact on the understanding of critical processes such as the maintenance, conservation, and expansion of distribution lines, having technologies with great potential is an essential factor,” said Santos. For Coelba, GSE Web is one of those technologies. The app has enabled all the company’s business areas—from the mapping and design units to the sales and maintenance teams—to infuse their operations with geographic intelligence and has made countless processes more efficient. Visit Imagem’s website for more information on GSE Web and other solutions.